We are trialling a new style of reviews – please let us know if you don’t like it here. Easy, quick call beforehand – when we were there, a lot of people were disappointed not to get a table, so probably best to call first. The outside of The Rose and Crown let down the pub and quite was deceptive. It looked run down and lifeless. Inside though, it seemed freshly decorated with tables laid out in the restaurant. There was a large garden with a children’s play area, as well as a huge patio. Definitely one to visit in the summer. 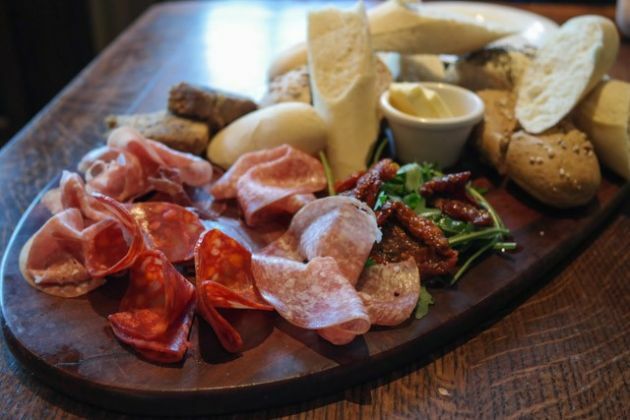 A large choice, we went for the sharing platter, consisting of sun-dried tomatoes, rocket, cured meats, terrine and 3 types of bread. It looked amazing – and huge! Unfortunately the bread seemed cheap – would have preferred half the amount for better quality. We ordered a child’s roast beef for JW (our 1 year old). Unfortunately though, a roast chicken came out. We all make mistakes, and it was sorted out quickly. 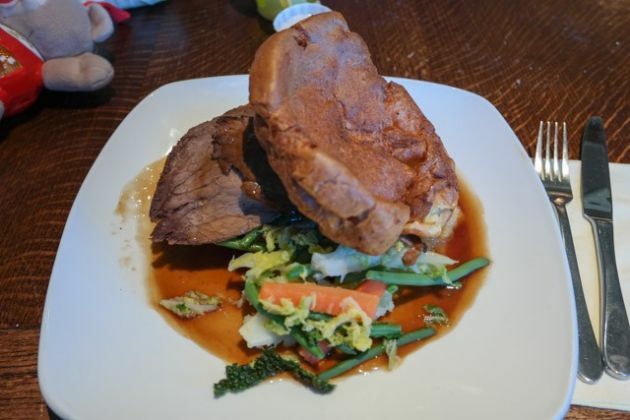 My beef looked superb with the Yorkshire pudding. I was told that the beef would be cooked well-done as standard. The roast potatoes were AMAZING! A beautiful golden colour, crispy outside and gorgeous inside. Vegetable selection included red cabbage (which was spicy – unexpected but good), green cabbage, green beans, carrots and swede. Cooked al dente, slightly salty and very nice indeed. Claire’s roast chicken also came with stuffing. This was a bit too dry for Claire’s taste, but the excellent gravy moisten the food nicely. I ordered the chocolate panna cotta. 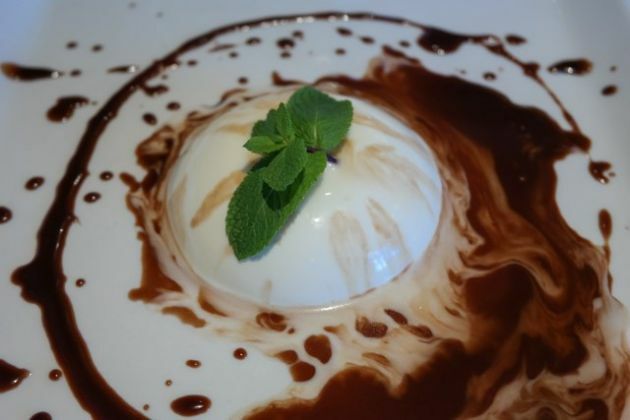 The panna cotta was very enjoyable, if not beautifully presented. I would order again. 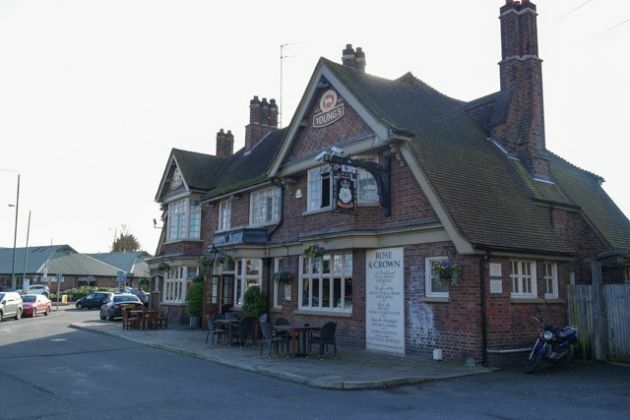 We were both apprehensive about visiting the Rose and Crown – we have passed many times in the car but the outside put us off. We needn’t have worried though, the venue inside was clean and well looked after. The service and facilities were good. The meat platter starter had so much cured meat, a bit let down by the quality of the bread. Our Sunday lunch was enjoyable for the most part, perhaps the beef and chicken could be better, but these concerns are minor. 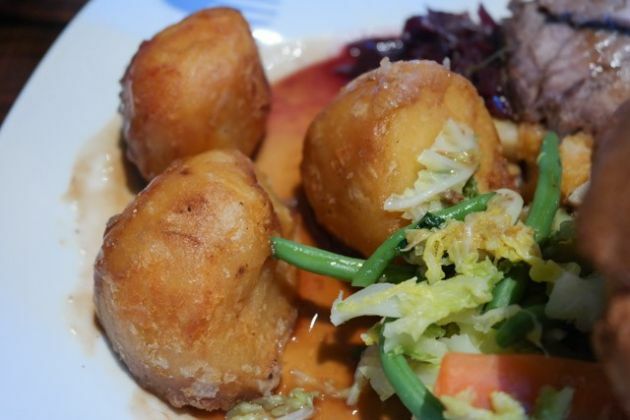 The roast potatoes were excellent, and a good selection of vegetables. 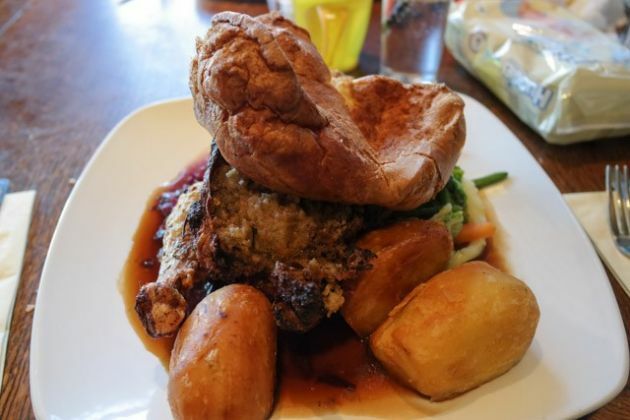 one point about the food as a whole – we ended up leaving quite a bit of the Sunday lunch, not because we didn’t like it but because there was just so much! I feel it would have been better to serve less food for slightly cheaper to save on waste. The waitress did remark about how much food they serve when collecting our plates. Lastly, the children facilities were some of the best we have seen. All in all, a recommended Sunday lunch for families and people with monstrous appetites!